Do NOT have to be present to win, but must claim prize within 30 days of draw date. 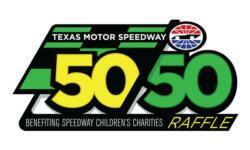 Ticket sales will conclude at the completion of the DXC Technology 600. Fifty percent of the proceeds benefit Speedway Children’s Charities and the other fifty percent could be YOURS!